This drawing was done in the Miami airport while we were waiting for our flight back to Canada. Once we were back in Vancouver I learned that my cousin Terry had lost his battle with cancer just a few days earlier. 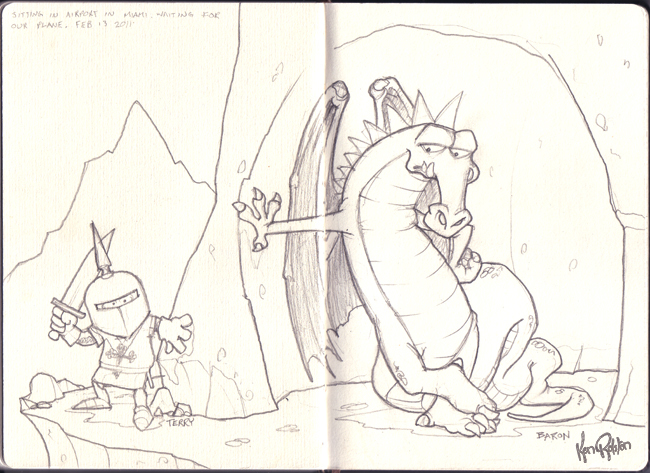 It seemed only fitting that the knight about to do battle with the dragon in this image be named Terry.